Human rights organizations argue the U.S. government has grossly underestimated the number of civilian deaths caused by drones. The United States government accepted responsibility Friday for inadvertently killing up to 116 civilians in strikes in countries where America is not at war, a major disclosure likely to inflame debate about targeted killings and use of drones. President Barack Obama’s goal for the release of the numbers, which are higher than any previously acknowledged by the U.S. government but vastly below estimates from intelligence and rights groups, is to create greater transparency about what the U.S. military and CIA are doing to fight militants “plotting” against the United States. “The numbers reported by the White House today simply don’t add up and we’re disappointed by that,” said Federico Borello, executive director for the Center for Civilians in Conflict. Since taking office, President Barack Obama has dramatically escalated the U.S.’s reliance on unmanned drones, launching deadly strikes in Afghanistan, Pakistan, Yemen and Somalia. In Pakistan alone, at least 1,927 people have been killed by drones since 2009, according to the Bureau of Investigative Journalism, with at least 249 of the dead civilians. According to human rights organization Reprieve, the death toll for civilians could be over 1,000. In a report, released in anticipation of the official figures, the organization argues the U.S. government secretly redefines “who can be targeted and what it means to be a civilian,” with many drone operators not always certain of who they were killing. “Every previous (rare) public, on-record statement made by the Obama administration on the program has been shown to be false or deeply misleading,” the report read. 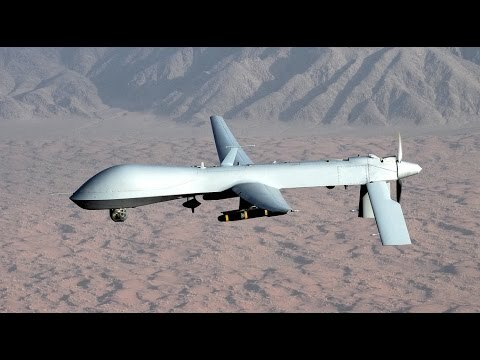 “We’re still faced with the basic question: Is the number of bad guys who are taken out of commission by drone strikes greater or less than the number of people who are inspired to turn to violent acts,” said Paul Pillar, a former senior CIA specialist on the Middle East and now a professor of security studies at Georgetown University. “President Obama is worried about his legacy as a president who ordered extra-judicial killings of thousands which resulted in a high number of civilian deaths,” Akbar told Reuters.